When Beyonce performed at Coachella last week, she included one of the most famous Malcolm X quotes from “Who Taught You to Hate Yourself” in her historic performance. Unlike this well-loved and viral performance, few people know that Malcolm X was a resident of Lansing during his teenage years – in fact, he still has family who live in the Lansing area. MSU assistant professor of history John Aerni-Flessner didn’t know much about Malcolm X’s life in Lansing until he moved here. He created a course RCAH 192: Proseminar- Malcolm X in Lansing, which explores how Malcolm affected the Lansing area and how the community helped shape him. The class built a website that contains maps and stories about Malcolm X’s years in Lansing. Malcolm X was born in Omaha, Nebraska, but his family moved to Lansing when he was very young. Most students in his class didn’t know about the history of Malcolm X’s time in Lansing, either. The few who knew were students at Mason High School, where Malcolm X was an alumnus. And most of those students only knew about it because there was a piece of public art at the entryway of Mason High school. “It reminds us of the power of public art, that we may not notice it everyday but it sunk in there somewhere,” said Aerni-Flessner. Some other students knew about the history is because a charter school in Lansing, El-Hajj Malik El-Shabazz Academy, is named after him. One of the reasons there aren’t many historic sites about Malcolm X in Lansing is that many places he lived in or worked at are not there anymore. Sarata V. Seydi, vice president of the River Trail Black Caucus at Michigan State University, vaguely remembers the history Malcolm X in Lansing because she had to read his autobiography multiple times in high school. Seydi said she was able to learn more about Malcolm X and how he grew into the person he became; taking the class has allowed her to have a different view. “I think the reason not a lot of people think of Malcolm X or know about him in Lansing was because of his radical ideas, and most people did not agree with his philosophy,” Seydi said. After Malcolm X left Lansing, his family stayed. His brother lived on the west side of town for a long time. Malcolm X also got married in Lansing’s courthouse and had his wedding reception at his brother’s house. Lansing, the place where Malcolm X spent most of his teenage years, didn’t treat him well. At 4, his home was burnt to the ground by the white supremacist group Black legion; At 6, his father was murdered by the white supremacist group the Black Legion and Michigan authorities at the time refused to persecute the responsible perpetrator; At 12, he was taken away from his family and forced to lived in different foster homes until he left the city. He named the chapter about his early life in Lansing as “Nightmare” in his Autobiography. In 2010, Ammahad Shekarraki submitted an application to change the name of Main Street to Malcolm X Street and in 2011, almost half a century after Malcolm X’s death, Lansing has a street named after him. The journey didn’t end there. 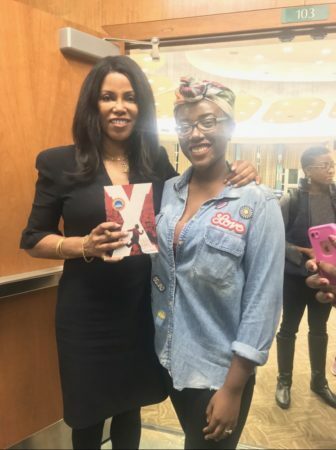 Ilyasah Shabazz, daughter of Malcolm X, visited Michigan State University in 2017 and gave a speech at the Erickson Kiva- the same place her father spoke back in 1963 at the request of MSU students. Makayla Robinson, an intercultural aide at Michigan State University, didn’t know much about Malcolm X’s history in Lansing until she attended the speech of Ilyasah Shabazz. After World War II, the political world was split between Communists aligning with the Soviet Union and anti-Communists aligning with the United States. During the resulting Cold War, these two countries fought over influence in conflicts around the globe. In a tumultuous political climate, The Spartan Newsroom brings you stories from the unique cultures and identities across Michigan State and the state of Michigan.